You can plead guilty by mail by following the instructions on the ticket and sending the completed form to the Westville Town Court, 936 County Route 19, Constable, New York 12926. Upon receipt of your guilty plea a judge will determine the fine and the Court will notify you of the amount by mail. 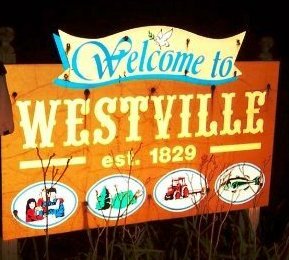 You will be expected to send the fine to the Court within 30 days by certified check or money order payable to the Westville Town Court or Visa or Mastercard with proper authorization. If you need time to pay, contact the Court at (518) 358-2499 and necessary arrangements will be made. You have the option of requesting a supporting deposition, which is a sworn statement from the ticketing officer that contains a more detailed explanation of the basis for the charge than is provided on the ticket. The Officer usually generates the supporting deposition at the time of the stop now that most tickets are being written electronically. If you mail a not guilty plea, you do not need to appear in Court on the date stated on the ticket. Upon receipt of your not guilty plea the Court will schedule a pre-trial conference with the Assistant District Attorney and you will receive notice of the date by mail. The purpose of the conference is to discuss with the Assistant District Attorney a possible reduction to your case through a reduction or plea agreement. If the matter is not resolved to your satisfaction, you may proceed to trial on a date to be scheduled. A trial is the proceeding at which a judge will make a determination whether you are guilty or not guilty. At the trial, the officer who issued the ticket will testify and you will have the opportunity to cross-examine him/her. Thereafter, you and your witnesses, if any, will have the opportunity to testify. The Assistant District Attorney can cross-examine your witnesses and you. When the testimony is completed, the judge will make a decision and will usually announce it in court at the trial. If you are found not guilty, the matter is completed. If you are found guilty, the judge will determine the fine and arrangements for payment will be made. A third option is to appear in Court on the date designated on the face of the ticket. At that time you can enter a plea and/or ask for a trial. You will have the opportunity to provide any explanation you would like the judge to hear. Your explanation will be considered in the resolution of the case. For traffic reduction application go to Franklin County District Attorney's website.